I love it and would like to have a.41 special at a reasonable price. I already have a.41 magnum someone told me that the.41 special is available for it. I am thrilled that I discovered LuckyGunner.Com gift certificates. They are THE perfect gift for all the adults on your gift list, and they make a perfect gift any time of year! Can't go wrong. Hard time deciding what to buy someone as a gift? Ponder no more. 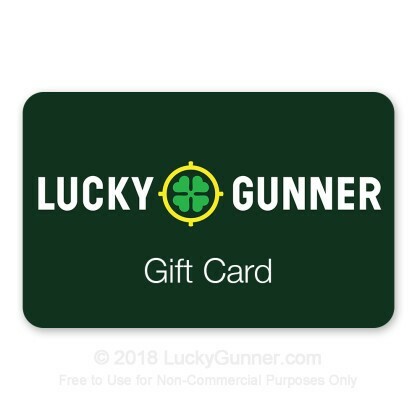 You just cannot beat ammo, in the form of a Luckygunner gift card. Your friend's eyes will light up. I ordered a gift card as a birthday present for a family member. The transaction was easy and the card was delivered electronically immediately. Definitely a great way to send a gift!